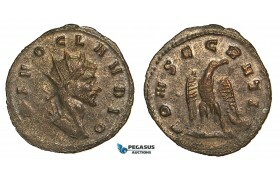 AC028, Roman Empire, Claudiu II Gothicus (AD 268-270) Æ Antoninian (3.35g) Antioch, Obv. 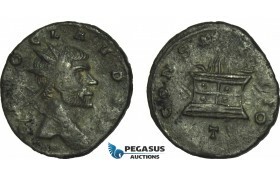 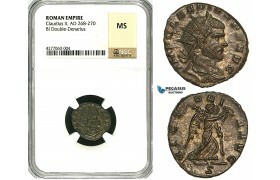 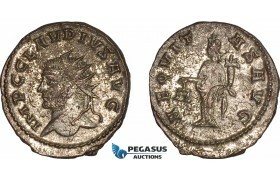 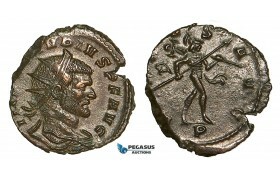 : IMP ..
AC029, Roman Empire, Divus Claudiu II Gothicus (Died AD 270) Æ Antoninian (2.91g) Mediolanum. 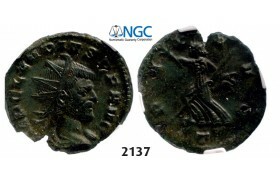 ..
Z60, Roman Empire, Divus Claudius II Gothicus (Died 270 AD) Antoninianus (2.14g) Rome, 1st emission ..
Z61, Roman Empire, Divus Claudius II Gothicus (Died 270 AD) Antoninianus (2.50g) Mediolanum, Mars, O..
ZA36, Roman Empire, Divus Claudius II Gothicus (Died 270 AD) BL Antoninianus (Double Denarius) (2.84..